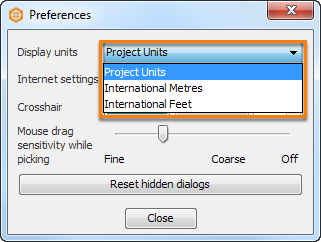 In Insight, the X/Y units are defined when creating or configuring a project. If you select a coordinate reference system (CRS), the CRS will define what the X/Y units must be. 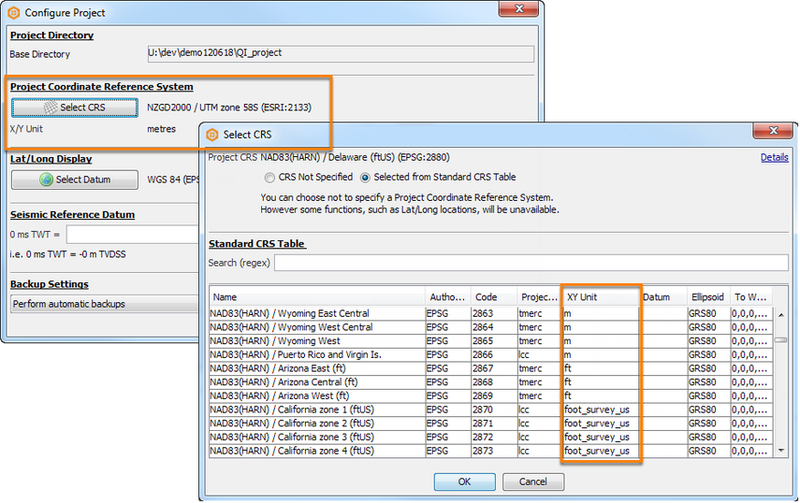 Alternatively, you can select the units without choosing a CRS by clicking on CRS Not Specified in the Select CRS window. A drop-down list will then appear allowing you to select the X/Y Units (see the following image). 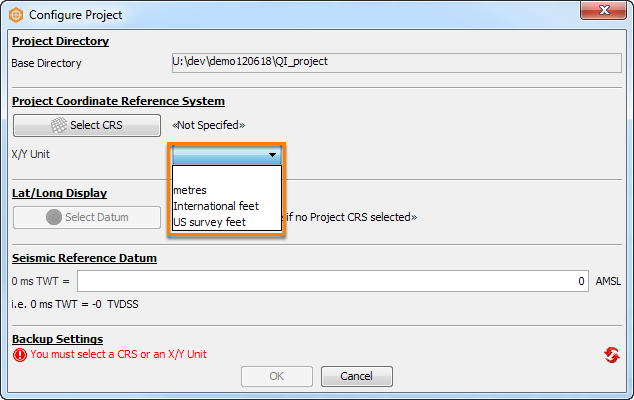 All depth data, on the other hand, can be loaded in either metres or international feet. Every time you import something measured in depth (i.e. SEG-Y, a well path, a horizon, etc), you will have the opportunity to specify its units. 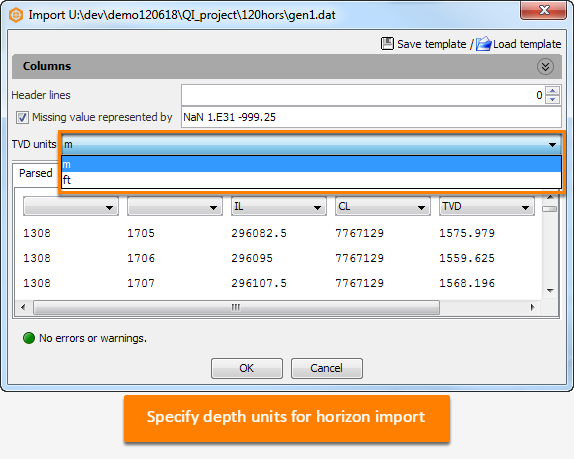 Regardless of the units the data is loaded with, the depth values will be displayed using the same units as defined by X/Y in project settings or Tool > preferences. Finally, in the View > Preferences dialog, choose which units you prefer to work in. Insight will convert all depths, distances, and volumes into that unit system before displaying data on the screen. It converts everything except X/Y values, which cannot be directly converted. You can change the display units at any time, and even have different settings for each user. In this way, you can import data defined in a mix of unit systems, but always work with them in your preferred unit system.